Open Internet Options and head over to the Advanced tab. 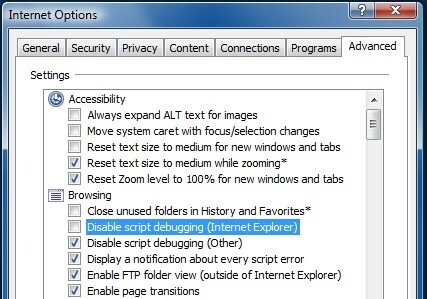 Uncheck Disable script debugging (Internet Explorer). When you run or debug a website, Visual Studio uses you default system browser. But maybe you prefer to debug in a different browser. 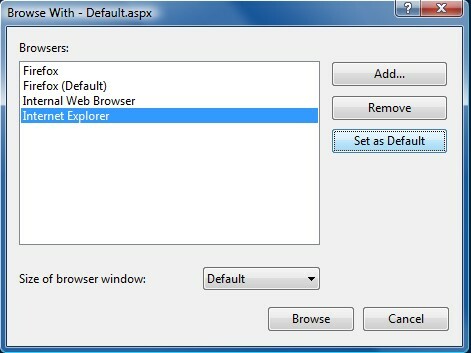 To change this setting, right-click on an aspx file in Solution Explorer and select Browse With. Select the desired browser and set it as default. That’s it! Do you have any tips or tools for website debugging?